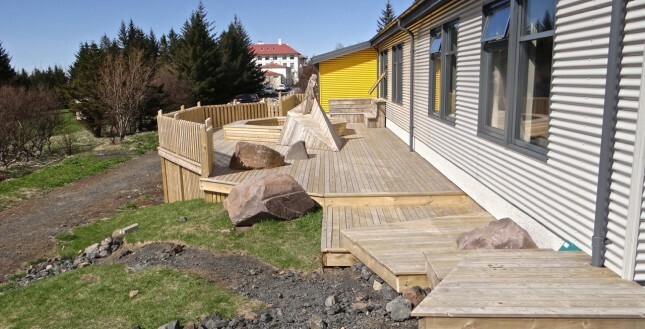 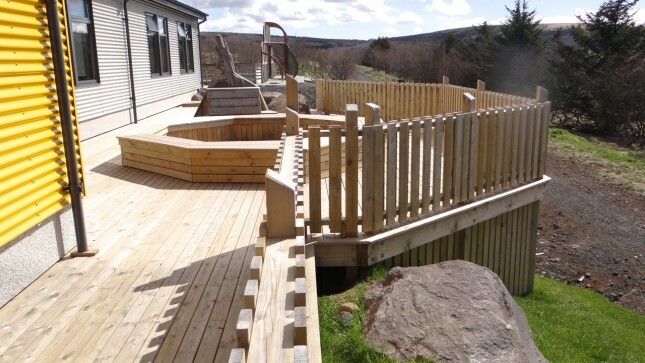 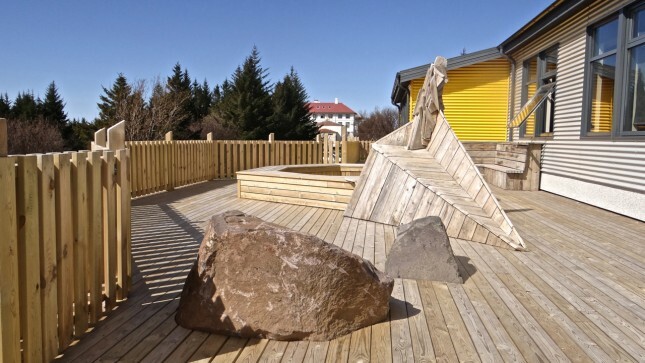 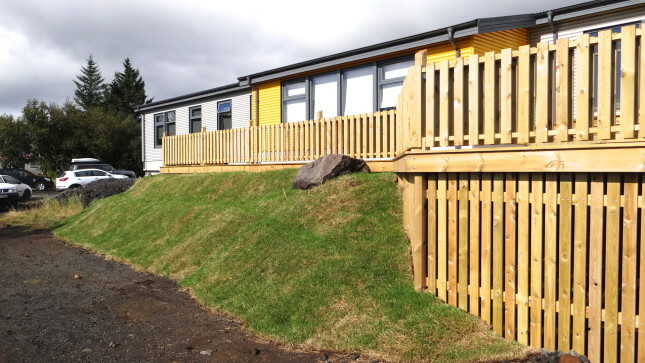 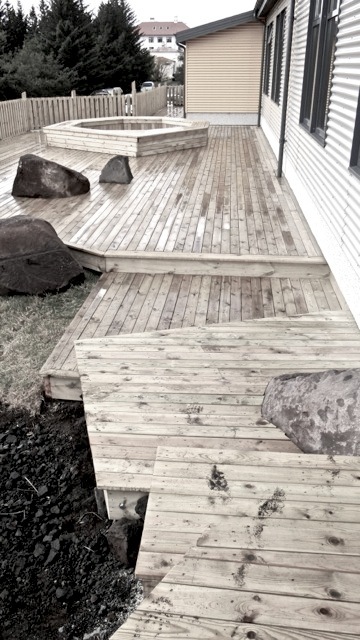 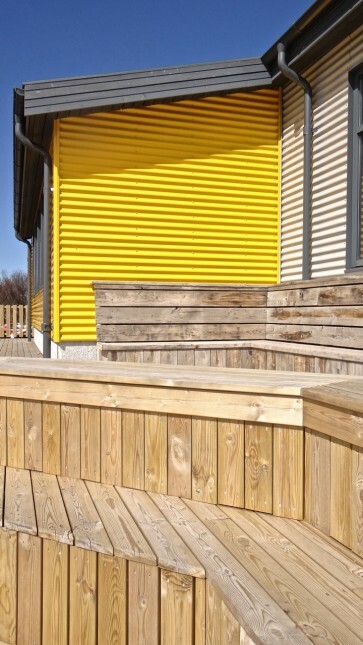 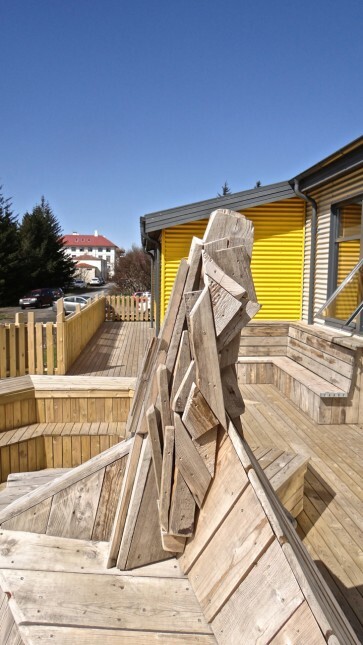 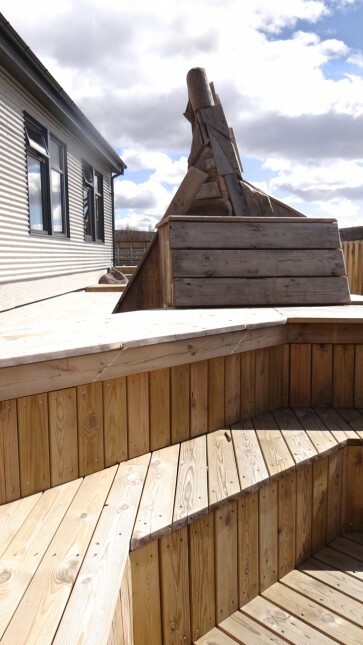 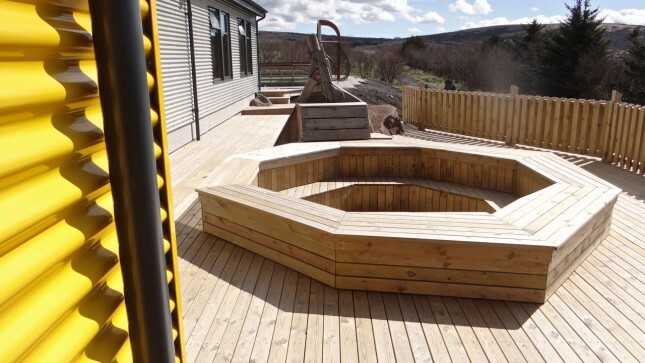 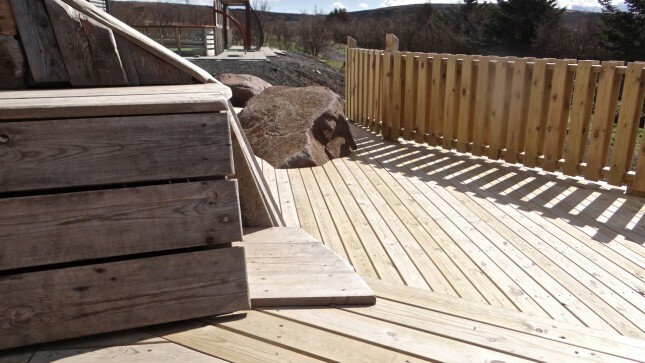 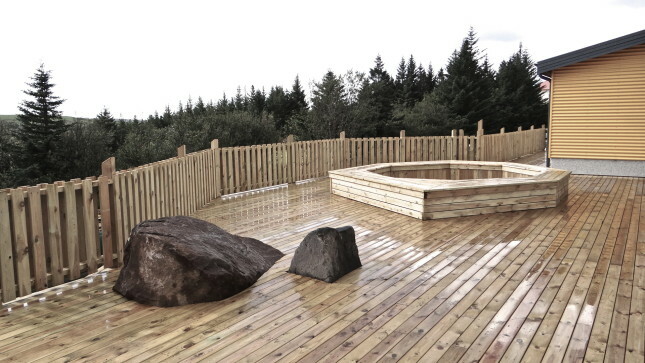 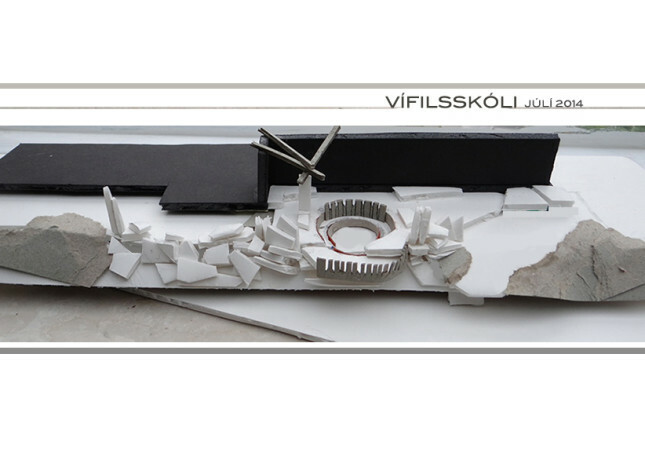 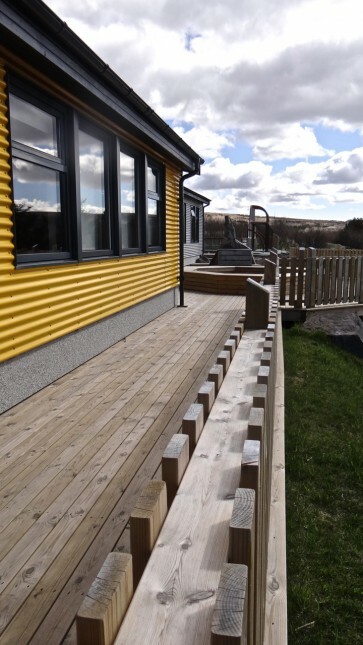 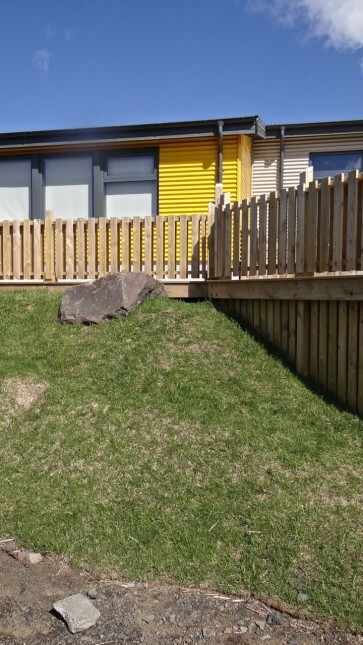 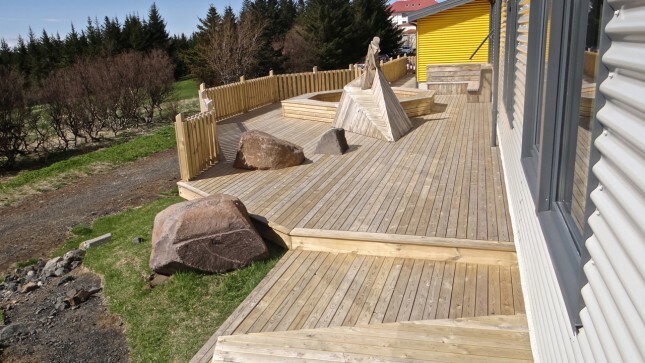 In the same fashion as the Children´s School in Hafnarfjörður, this school´s primary need was a sun-deck running along the back side of the building. 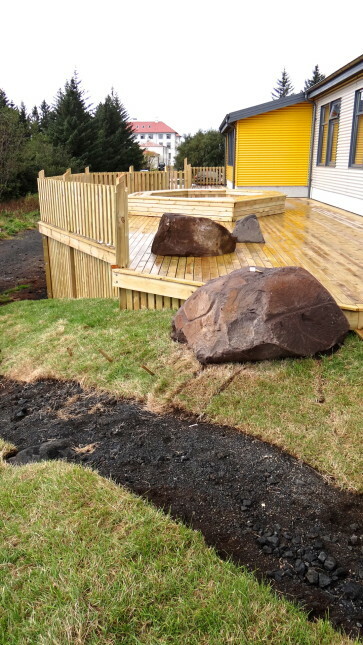 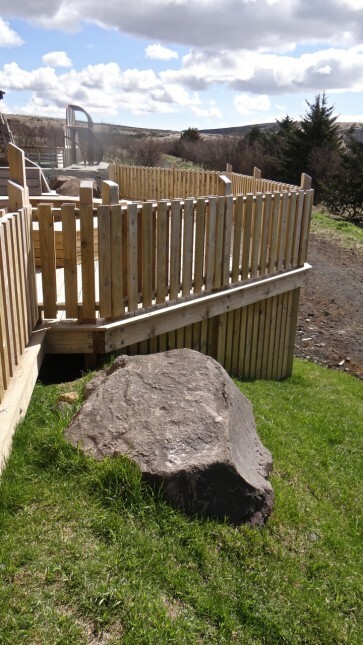 We followed a similar approach on this site with the introduction of rocks. 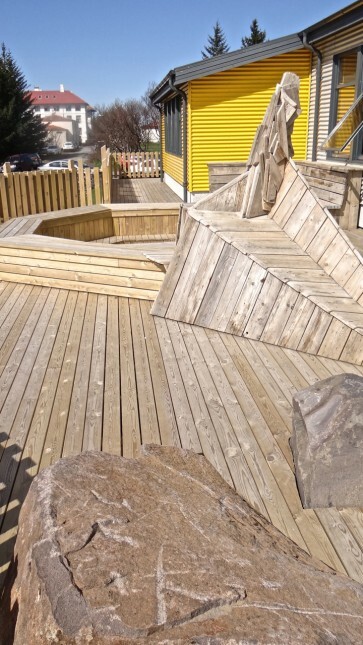 This location also features a sunken bench-assembly area where both schooling and social time can be spent. 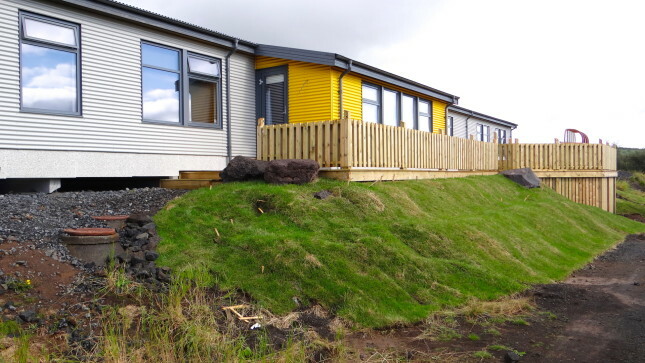 In addition we laid grass turf in a landscaped fashion in order to provide further seating. 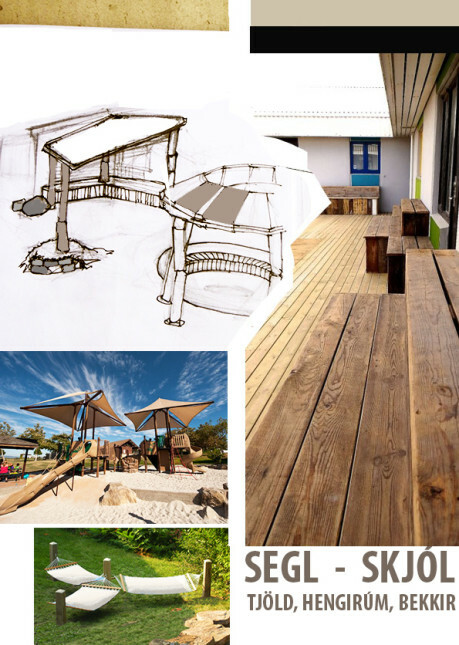 Because our primary concern is to engage the children in the planning of their school, we also held lectures for them where we would introduce our ideas and encouraging them to draw theirs. 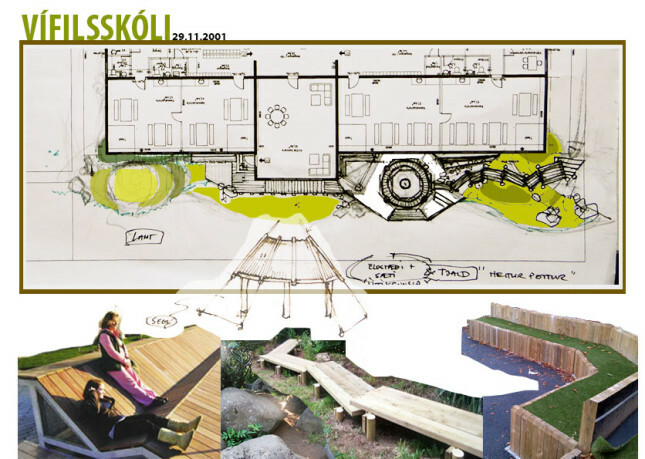 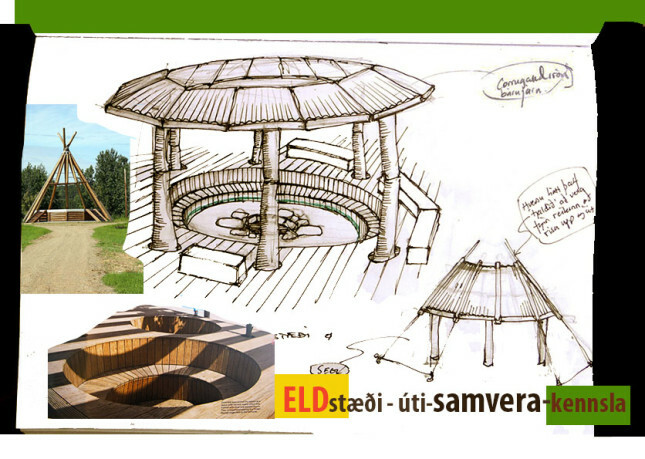 We then integrated this wealth of information and creativity into our plans.